The Utah Office of Tourism promotes Utah as a year-round playground, with an alluring mix of recreational possibilities. However, whereas many of those suggestions have a seasonal component, a quality fly fishing experience can present itself every day, seasons notwithstanding. And with relatively easy access to hundreds of miles of exciting fisheries, Park City is arguably the State’s fishing epicenter. 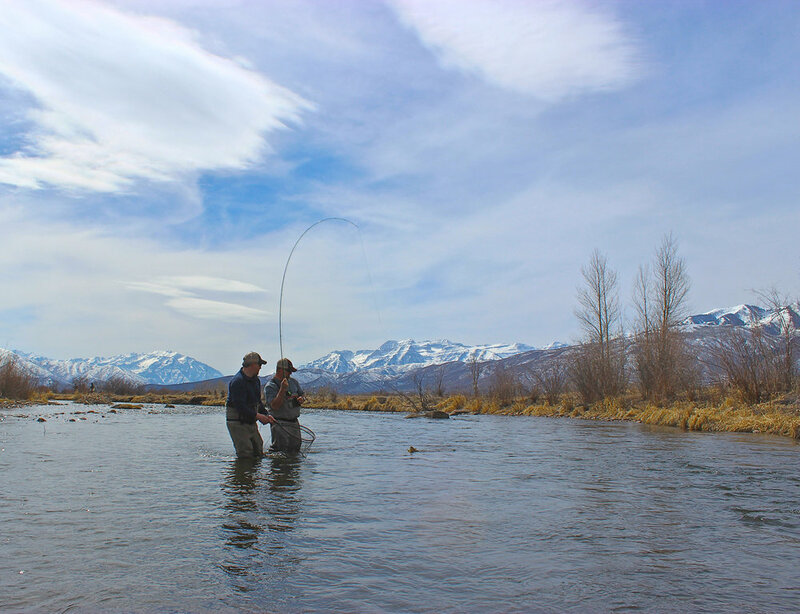 Two of the states best tail waters are just 15 minutes from downtown Park City, UT and 40 minutes from Salt Lake City, making Park City one of the "Top 25 Best Towns, Fly Fishing for Trout". So no matter what time of year, give the experts at Provo River Guide Service a call and let them show you what fly fishing in Utah is all about! 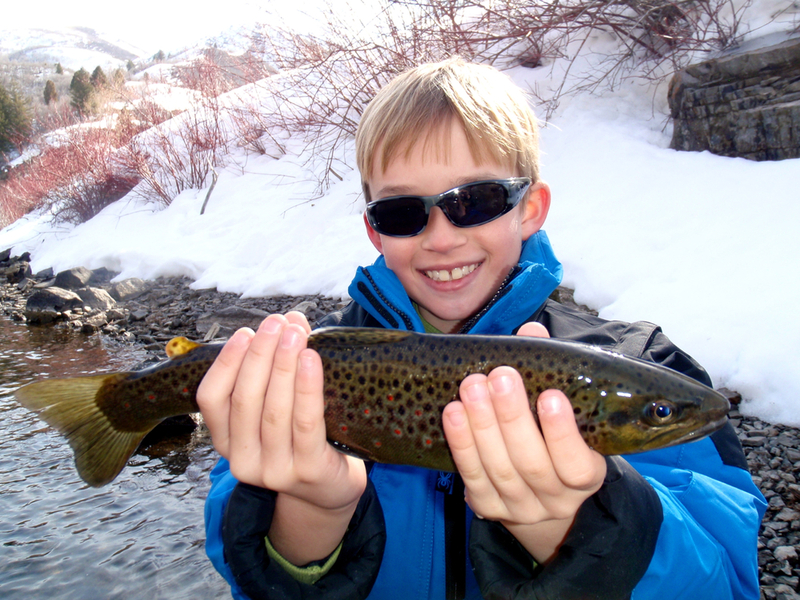 Spring often provides some of the best fly fishing in Park City, Utah. The trout have spent a long, cold winter feeding on tiny midges, and now have an appetite for something bigger! This is the season we see some of the first significant hatches of the year. That includes the fabled buffalo midge, which is unique to the Middle Provo River. As the name implies, buffalo midge are quite large, and will blanket the water's surface, sending your future catches into a feeding frenzy. Another spring treat on the Lower and Middle Provo is the first hatch of the "BWO", or blue winged olive. This makes for some killer fishing that is more than worth a wade into the Provo. You won't be disappointed with this ideal combination of low water, no raft traffic, and hungry, aggressive trout! As temperatures rise in late spring, winter run-off swells the waters, creating a perfect window within which to cast in a streamer and target a fat, brown trout. Summertime is, by far, the most popular season to fly fish in Utah. The rivers by now have stabilized after the spring run-off. The water has settled and cleared, providing ideal conditions for strong daily hatches. On the Provo River, you'll find many varieties of fish food - green drakes in June, sallies in July, and caddis in August, just to name a few. You'll also love mixing it up by dry fly fishing with terrestrials, which can be especially fun on our numerous "small streams". Anglers from all over the globe come to fish these waters in the summer, and for good reason. With so many beats along the Provo River and Park City's copious small streams, there's plenty of space for all to have a slice of river to themselves. After Labor Day, fishing pressure on Utah's waters tends to lessen a bit. 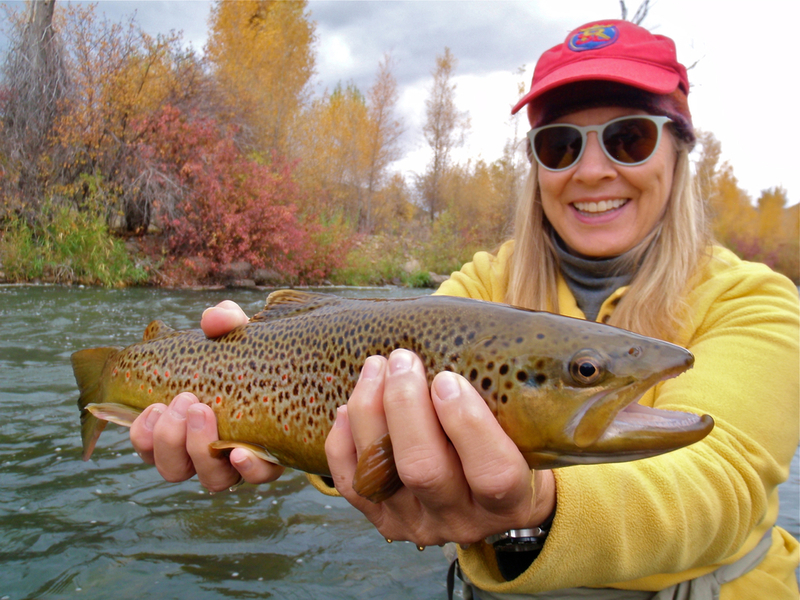 With lighter crowds and strong hatches, fall can be a fantastic time to experience Utah fisheries. During this season, the water drops, allowing access to fishing holes which, during the spring and summer, were too deep and fast to fish. With easier wading, untouched water, and spectacular colors in the surrounding scenery, autumn is one of our favorite times to be on the river. The brown trout spawn this time of year, lending itself to some killer streamer fishing. Concurrently, albeit further afield, the Upper Green becomes a spawning ground for kokanee salmon, behind which trout are lurking. These trout tend to be very large, but easily spooked. They are a rewarding challenge for the skilled angler, for whom we can justify the two hour drive into Wyoming. Wintersport in Utah is synonymous with skiing, specifically pow(der) skiing, right? But that depends on one's perspective. Sure, Utah has the "greatest snow on earth", but how many of those bluebird pow days can one hope to catch in any given winter? It's a rhetorical question, but we of the fly fishing community would wager that chances of having an epic fly fishing day are exponentially higher. So when conditions on the slopes aren't ideal, please consider an alternative cold-weather sport. The river banks may be quiet, but the water is not. Provo River flows are controlled by dams, which keeps the water temperatures consistent and above freezing. Prolific midge hatches occur nearly every day throughout our winter months, and that makes for some great dry fly fishing. So, bundle up with an extra layer or two, and join us for some solitude on the Provo. Your fish are waiting.